Complete Set of 12 Guts Keychains by I Heart Guts. Cute, gross and useful all at once! 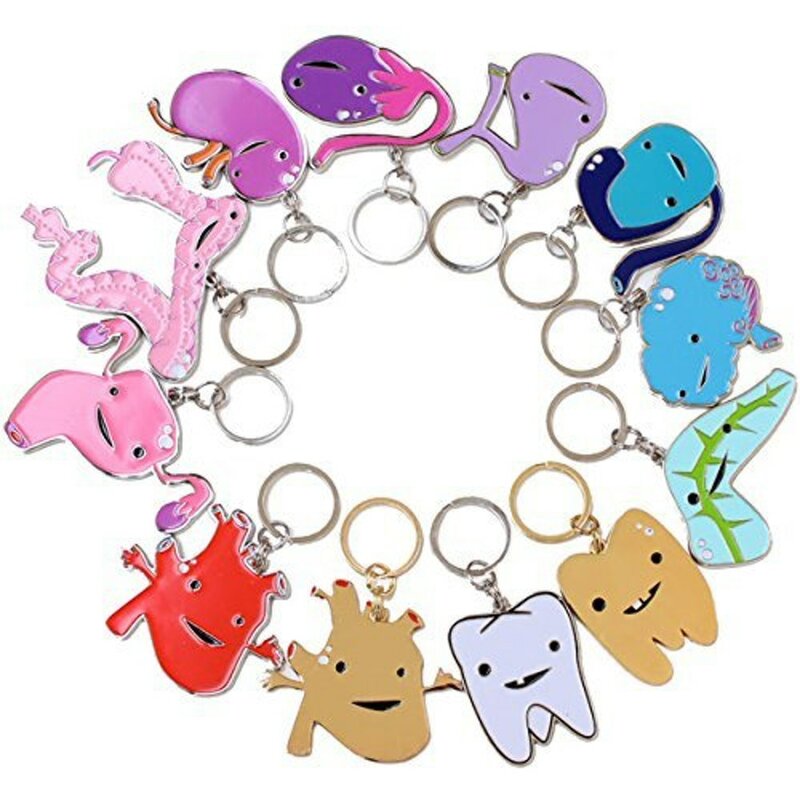 Pack of 12 I Heart Guts keychain designs including gallbladder, brain, gold tooth, red heart, heart of gold, kidney, heart, ovary, pancreas, testicle, tooth, uterus, and colon. Guts name and dorky slogan engraved on back for handy reference. Zinc alloy with soft enamel, polybagged and affixed to cardboard display.